A sweet and buttery flavor for your candy and baking treats. Butterscotch flavor is receptive, sweet, and all inviting. You can’t miss the taste. Type: Butterscotch Water Soluble Flavoring. Ingredients: Natural and Artificial Flavoring, Propylene Glycol. USP Kosher Grade Flavoring. Usage Rate: 15-20% for E-use. Flavor suitability: Desserts, pastries and baked treats, yogurt, ice cream, candy and more. Specific Gravity: 1.04 No Refunds on Flavoring. This is the second and last butterscotch flavor I have had. It has a sweet hit to it and I love it. 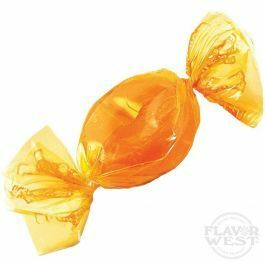 If you are looking for a butterscotch candy flavor, you must try this! I have tried 4 different company's versions of Butterscotch and this is the best by FAR! It tastes just like those wonderful little hard candies that came in the bright yellow wrappers:) There is no alcohol or chemical aroma/flavor in this flavoring. A+ flavor.